2. If you are not signed into Google, you will be redirected to the sign-in page. 3. 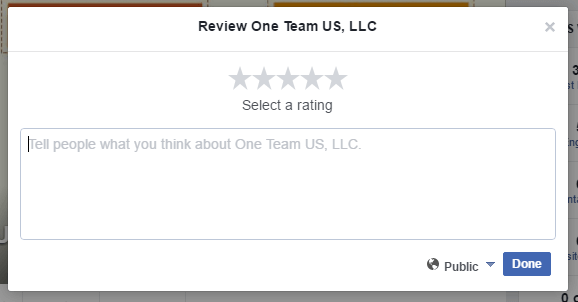 After Signin you will be redirected to One team US review box. 4. Add your Review ratings & comments here & submit the review. 5. You can Also review us via this link. 6. There, you can click on “Write a review” to leave us a review! 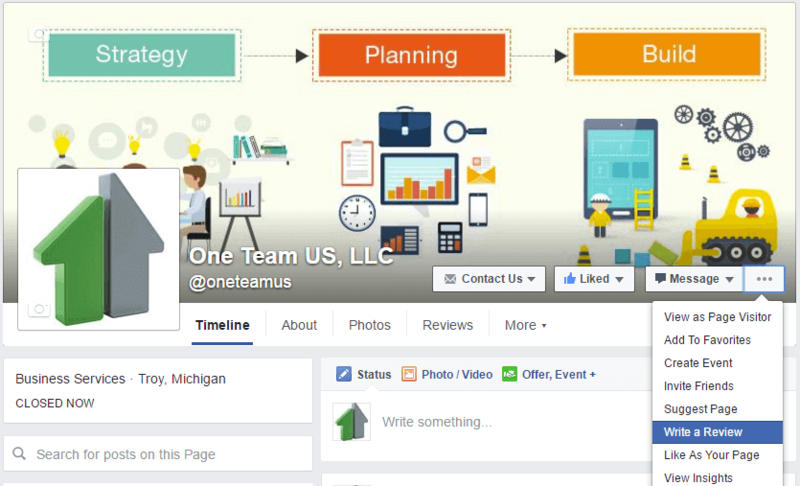 Review One Team US LLC Now! 3. 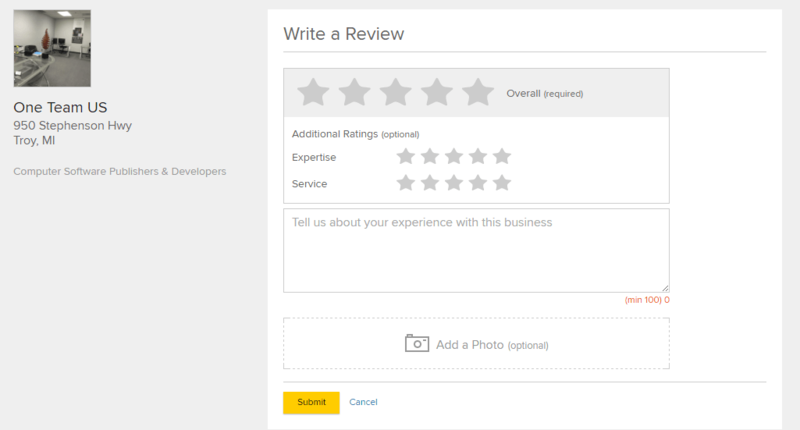 You can now rate our services and write a review. After you have done so, click on Sign Up and Post. 4. A pop up will show to sign up. If you already have an account, you can log in. If you don’t have one, you can conveniently sign up with Facebook! 2. When you are on our Facebook page, look for the ellipses and when u click on it a drop down menu will appear like in the image below. 3. 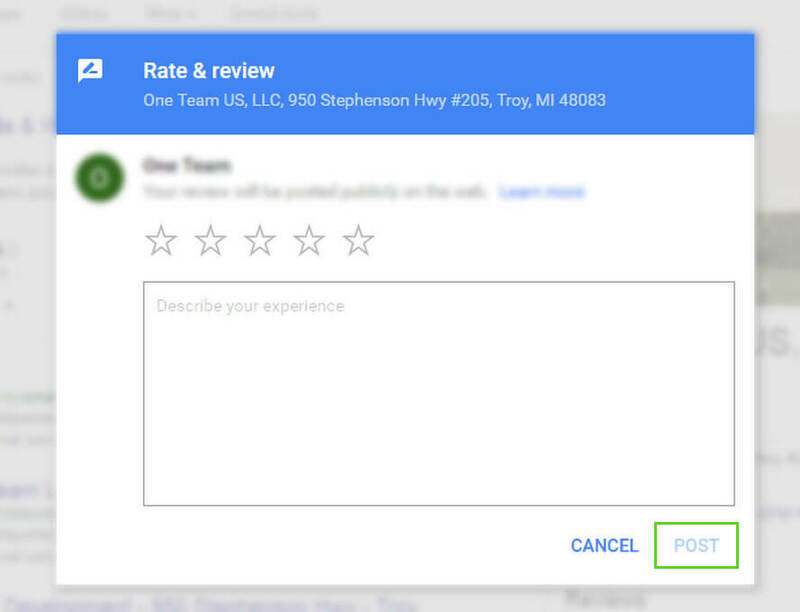 In the drop down, look for Write a Review and a review box will show up! 4. If you are not signed into Facebook, then you can find Reviews under the More tab. 5. You will then be directed to the reviews page. You can rate One Team US with stars; however, you will be redirected to the login page after you’ve selected a rating. 6. After you have logged in, you will be brought back to the homepage of our Facebook page and you can proceed with Steps 1-4! 2. Click on the “Write a review” Button. 3. 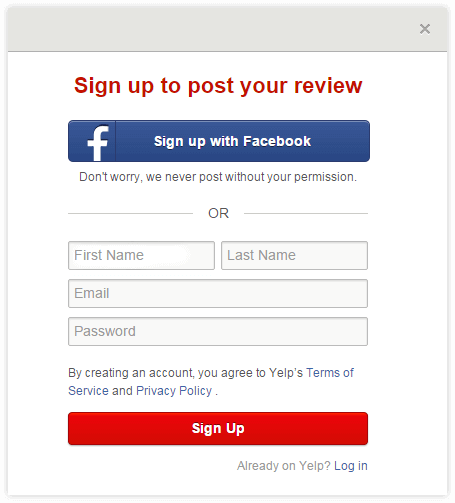 If you are Logged in at yellow pages you will be redirected to the review page. Here you can add your ratings & comments about us here. 4. If you are not logged in you will be redirected to the login page where you can sign-in or resiter a new account. Once you login you will be redirected to the review page.